Answer: According to Department of Fish and Game (DFG) Yolo Bypass Wildlife Area Manager Dave Feliz, DFG Wildlife Areas are classified as Type A, B, or C Areas based on the level of staffing and the public use demand. Type A and B areas are staffed and often defined by the presence of wetland habitats. Type A areas are intensely managed, with extensive vegetation manipulation and water management. Public use is typically very high and carefully managed by the department. We often staff a hunter check station at these facilities, and physically check all hunters in. All game taken is identified and tabulated. There is a fee to hunt on Type A Wildlife Areas which can be paid daily or the hunter can purchase a Type A annual pass. There is also a fee to hunt on Type B Wildlife Areas. These facilities often do not have a staffed hunter check station. Fees are satisfied with either a Type A or Type B season pass. Hunters will not be able to purchase a daily pass at a Type B hunting area. Type C areas are often unstaffed lands and contain extensive upland habitats. Access is usually on a self-serve basis and no fee is required. 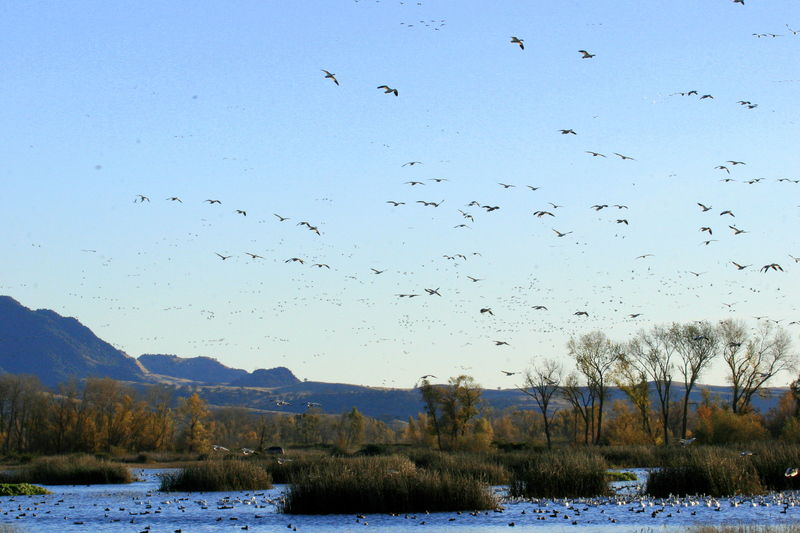 Wildlife Areas typically hunt Wednesdays, Saturdays and Sundays during the waterfowl season. It is thought that giving the birds a couple of days off from being hunted allows them to rest or move about freely and feed undisturbed. In effect, the entire Wildlife Area functions as a closed zone and attracts more birds for the next round of hunting. Private wetland owners often respect these traditional hunt days but are under no obligation to do so. Can I use my six pack commercial boat for personal fishing? Answer: No. Your boat is still a CPFV even when there are no paying customers aboard. Therefore, since the regulation states six crabs for a commercial passenger vessel, you and your passengers may still take only six crabs per person. Hunting big game using cell phones and radios? Answer: While it’s illegal in some states, it’s not in California. In states where it is banned, it is because they believe using radios and/or cell phones while big game hunting is not an ethical method of stalking and hunting wildlife. Currently, California has no such law and so radios and cell phones are legal. Will the new licenses turn black in the sunlight? Question: The new license paper is obviously very durable, but it seems to be light sensitive, too. How careful do I need to be to prevent it from changing color and going dark? Answer: The new ALDS license is both tear-resistant and completely waterproof. This paper has undergone extensive testing and has been in use since May 2009 for online license purchases. Darken if exposed to extreme heat, such as on a dashboard for weeks at a time. However, a darker license is still usable as long as the text and signature is still readable. Darken if exposed to temperatures greater than 200 degrees F°. If this occurs, the license must be replaced. Customers can purchase a duplicate license from any license agent or DFG office. Licenses should never be heat-laminated as this will destroy the license. This was also the case for the previous license paper. This entry was posted in Bag Limits/ Possession, Fishing, Hunting, Info, Licensing/Permits/Stamps/Report Cards, Methods Of Take, Private Land, Regulations and tagged big game hunting, Commercial fishing, crab fishing, crustaceans, Duck Hunting, Dungeness crab, Licenses, ocean fishing, regulations, waterfowl, Wildlife areas, Wildlife refuges. Bookmark the permalink. Hunting with spotters and using cell phones or radios is lazy. It should be illegal. Type A, Type B and Type C Wildlife Areas are defined at 14 CCR § 551(e).